We've arrived in Philly, and the students are working on their projects! This year, we've made significant changes to the Voices program in an effort to better prepare students for the ever-expanding news media universe. 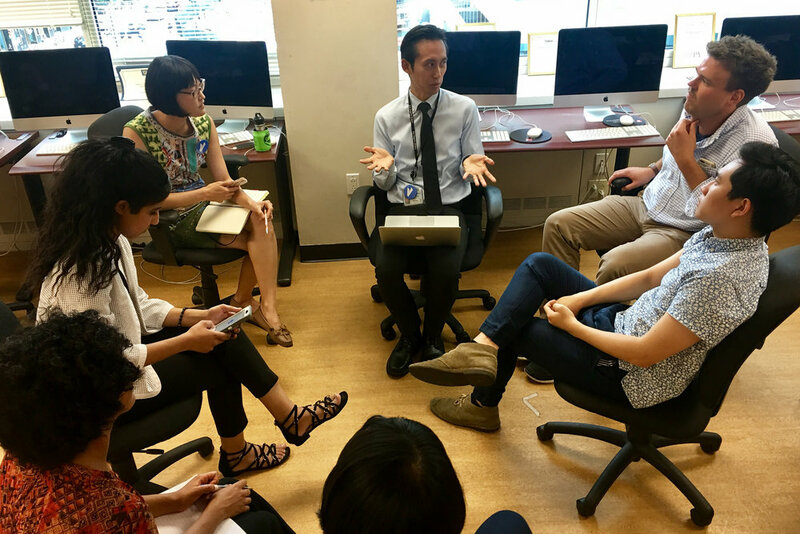 We aimed to encourage collaboration, provide skill-specific training and enable students to better participate in the AAJA National Convention. Once we got to Philadelphia, we hit the ground running. Students attended two training sessions on-site: a Google News Lab training with Frank Bi of SBNation and a session on using census data with Nesreen Khashan from the U.S. Census Bureau. As in years past, media organizations have kindly sponsored lunches for small groups of students, which give them a valuable opportunity to talk with professional journalists. In previous years, though, students have largely missed out on other convention programming because of the workload. Without daily deadlines, we hoped students would have more time to attend panels or meet with recruiters. Students will also present their projects to the AAJA general membership on Friday at 3:30 PM in Regency C1, C2, followed by a casual mixer. We would love for you to join us!